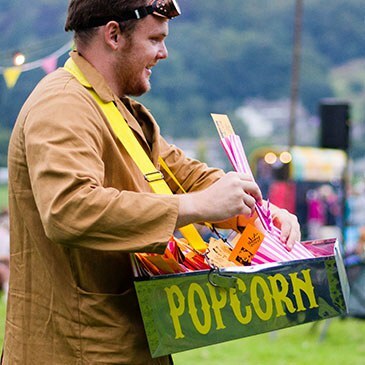 All income raised from Picnic Cinema helps support Remote, a Rural Touring Cinema project that enables rural communities to put on cinema screenings in their village venue. UNCLE MONTYS SUMMER SOIREE F.T. For the eighth year in a row we are extremely privileged to be able to offer what is the most amazing opportunity to watch the UK's No.1 cult film Withnail & I (15) at the remote location where it was filmed. THE STRIPED PYJAMA PARTY F.T. Withnail & I Tickets: £48.00 (inc booking fee) (Ticket includes evening meal and one night camping, Fri or Sat night)- at checkout please select Event AND Film ticket. Please note the age rating for each event. Picnic Cinema must abide by the age rating set by the BBFC, this means no under 15's at (15) rated films. 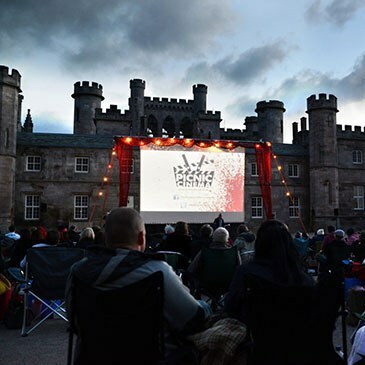 Picnic Cinema is not under cover and will go ahead whatever the weather unless it poses a health and safety risk and in this case we will cancel or reschedule the event, so please dress appropriately for the weather. Ticket holders will be notified by email and it will be published on our website and social media sites. No please bring your own camping chairs. The time on your ticket is when the site is open from. Please do not arrive earlier than the stated time. We have allowed for time for you to set up your tent (at camping events) and time to relax, have a drink and a picnic before the film. 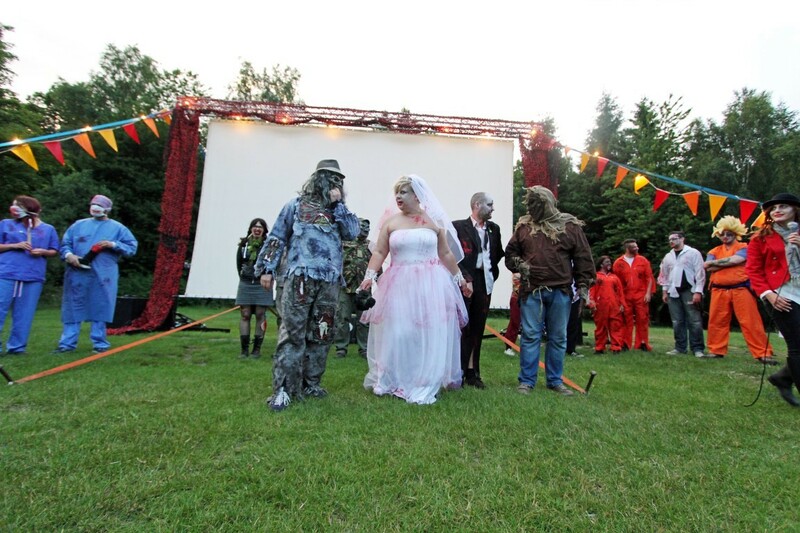 Before the film there will also be some fun and games and the film will start when it’s dark enough to see it! After the film there will be some music and dancing if that is what you are up for. 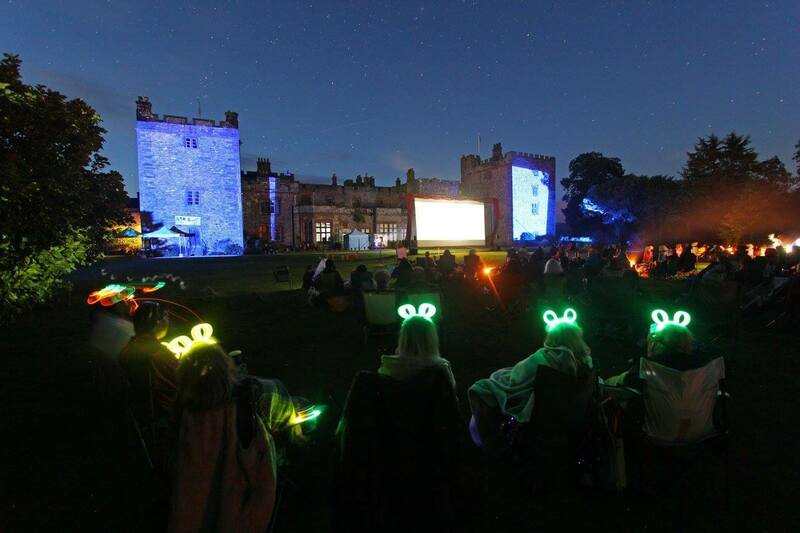 Cinema sites will close at 1am at the latest (this is subject to individual premises licences) you will then be asked to head back to the camping site (or home if you are not camping). We must abide by the film age rating. Children will be allowed onto site for films with age ratings of U, PG and 12A as long as they are accompanied by an adult. ALL under 16’s must be accompanied by an adult. Campsite Rules change from venue to venue, please see the Idiots Guide for updated information on the event you are attending. Camper-vans are not allowed at any venue, this is due to licensing restrictions at our events. All tickets have a 6% booking & administration fee, this is already factored into the price of your ticket and won’t be added on at the checkout. All tickets are e-tickets that will be emailed to you. Unfortunately we cannot process ticket sales over the phone. Booking fees are a necessary evil as this enables Eden Arts to sell tickets simply and online. 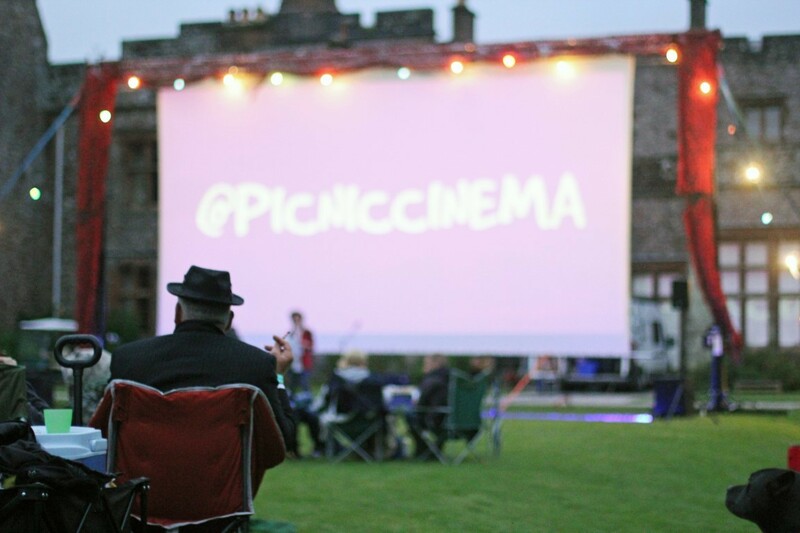 If you have a ticket issue please call 01768 899444 and speak to one of the Eden Arts team, or email picniccinema@edenarts.co.uk. Office Hours are Monday – Friday 9am – 5pm. If you have left this to the day of the event, the crew will be able to solve most ticketing issues on site, we have a guest list of all ticket holders details on site. Online tickets go off sale on the day of the event, as long as the event is not sold out, tickets will be available from the the crew on arrival. 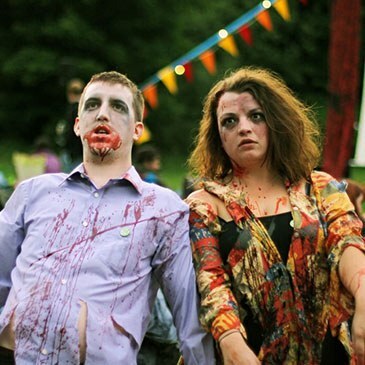 All profit from Picnic Cinema events will go towards helping to run Eden Arts and our projects. 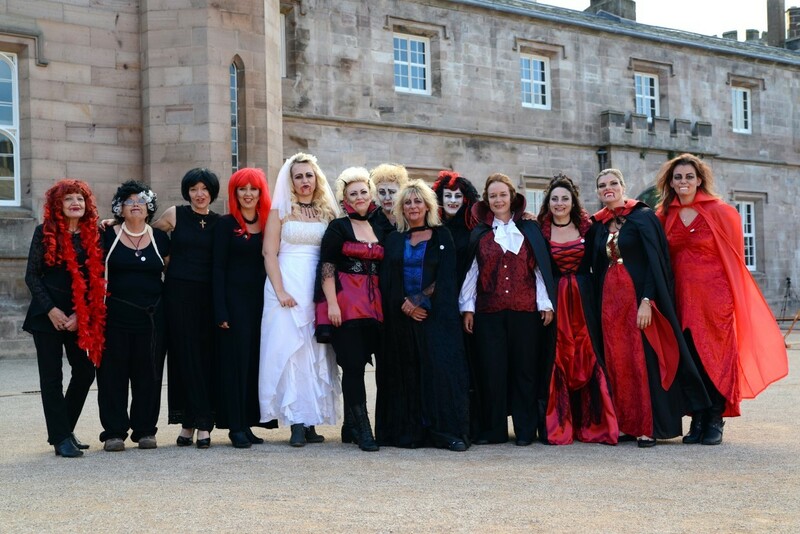 Eden Arts are a registered charity no. 1139215. So your money is not going to a money grabbing commercial organisation, it will be put to good use. 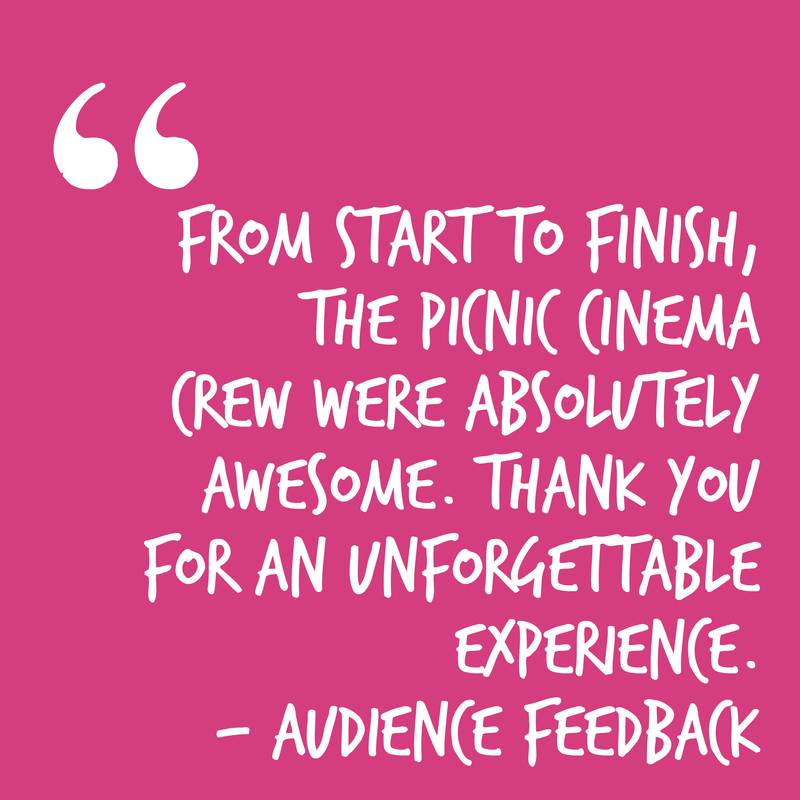 Tickets are non-returnable and non-refundable if the Picnic Cinema event takes place as advertised. We cannot offer refunds on the basis of wet weather, your brothers fish is sick, your neighbours budgie has died… In the event of cancellation or change of dates of this event, Eden Arts will not be liable for refunding any costs apart from the face value of the event ticket. This means we cannot refund any booking fees, travel or accommodation costs incurred. If you can’t make it and you have bought tickets we recommend you post that you have tickets to sell on www.scarletmist.com and on our Picnic Cinema facebook page. It is a face value ticket-exchange service, which respects music and festival lovers and would love to put ticket touts out of business! Accessibility can be challenging due to the nature of the sites and their often rural and isolated nature. Please call us on 01768 899444 if you have any access requirements and we will endeavour to cater for your needs. For most films we are able to turn on subtitles so please contact us and we will let you know if this is possible. We offer a free ticket to a carer/assistant. Please provide photocopy of both sides of blue badge OR a letter of award for DLA at low, middle or high rate (care component) OR A letter of award for DLA at low or high rate (mobility component). We are able to turn on the subtitles for most of films we screen. 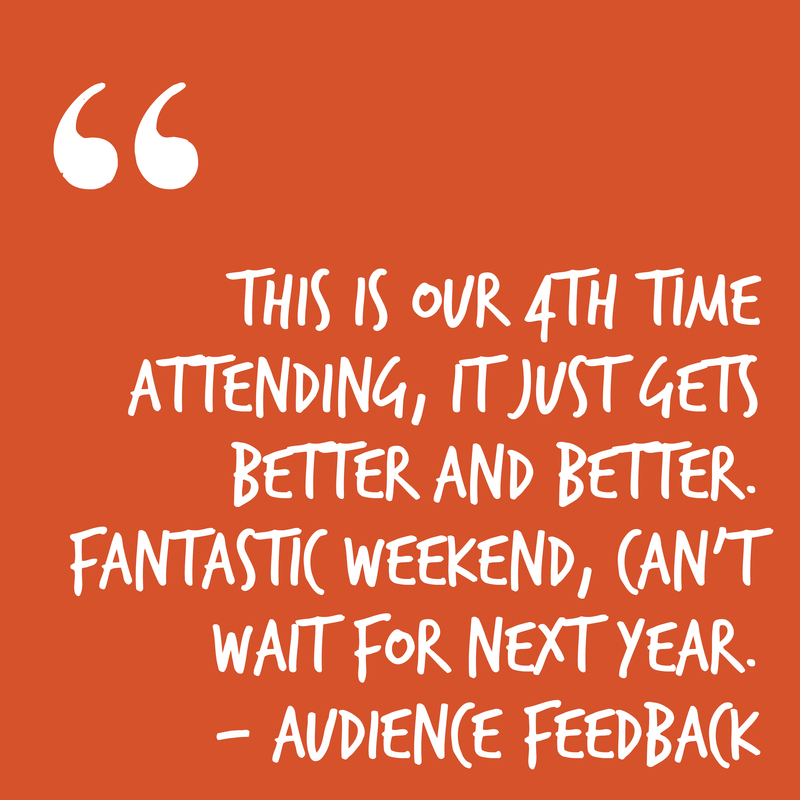 If you should require the use of subtitles please contact picniccinema@edenarts.co.uk with details of which event you are attending and we will happily turn them on if the facility if available. Picnic Cinema-goers consent to being filmed, photographed and recorded.